I have been assisting my clients with their real estate needs for 40 years. I graduated from Western Michigan University with a BS Degree in business and realize that real estate, and helping people with the most important purchase of their life was what I wanted to do. Real Estate is my passion. I am very lucky to live and work at Lake of the Ozarks. It is a blessing to live in a location that most people can only vacation. I would love to share the dream of Lake of the Ozarks with you. Begin each day with enthusiasm focusing on “Customer Centered” relationships. Strive to provide clients extraordinary attention to detail and responsiveness to serve as their advocate, negotiator, counselor and knowledgeable adviser. My desire is to create lifelong relationships while exhibiting honesty in my personal and professional interactions. Karie Jacobs has been involved in Real Estate since she first obtained her Real Estate Sales Person License in Michigan in 1982 at the age of 22. Karie received her Broker License in 1987 and opened an own office, becoming the youngest Broker/Owner in the Battle Creek Association of Realtors. While in that position the company ranked in the top 5 offices out of 52 companies in the first year of operation. Karie also has had a Time Share License in TN. 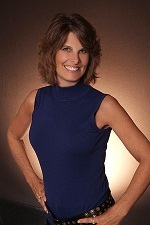 Karie has been licensed in Missouri as a salesperson since 2002 and Brokers in 2003. In Dec of 2011 Karie also earned her Broker License in the state of Florida. Advanced Education was earned by Jacobs from Western Michigan University with a BS Degree in Business. Karie has had a varied career in real estate as an Agent, Broker/Owner of an independent company and General Manager for Gaslight Properties GMAC 11 offices located in the State of Missouri. In the position of General Manager the company was ranked # 1 in the district for production. This varied experience levels has brought Karie a unique perspective of the Real Estate Industry and what it takes to be successful. Karie is proud after 32 years of active participation in the industry she is a survivor of three economic downturns. A. Battle Creek Association of Realtors 1982, Vice President 1996, Secretary 1995, Treasurer 1994, MLS Chair, Non Dues Revenue Chair, Served on Local Grievance Committee. Awards numerous production awards include: Pinnacle Unassisted Award from Bagnell Assoc. of Realtors for sales in excess of 5 Million or 24 sides, Summit Level Award of Excellence, and Distinguished Service Awards. Hundreds of boats owners in Party Cove relaxing. Fall colors the shoreline at Lake of the Ozarks - even a bad day at the Lake is a good day! Pool at Osage National offers a place to relax after golf. Driving to work today, I saw this beautiful tree in bloom and was thankful that Spring has arrived! Bought a home in 2019 in Lakeland, Lake Ozark, MO 65049. I've been working with Karie for approximately 5 years. I lived out of state and during this time she provided me with listings in the Lake area. My dreams of living on the Lake were made effortless once I retired from my job with the help of Karie. I moved to the area and with her help she not only showed me properties in my price range, she provided me with expertise knowledge of the area. Within a very short period of time, I had found my dream home. I closed last week and couldn't be happier. I chose condo living. At nighttime the white and blue lights of the docks are simply magical. I am living my dream. I hope you too will find your soul's desire with the help of Karie. I am forever grateful to her for providing me with her professionalism, joyful spirit, masterful negotiation techniques and friendship. Bought a Single Family home in 2016 in Rocky Mount, MO. We happily recommend Karie Jacobs to anyone looking for a house at the Lake of the Ozarks. Karie responds quickly. She is thorough and knows the area well. Karie anticipates issues and avoids complications upon closing by addressing them earlier rather than later. She is trustworthy, personable, flexible and easy to work with. Bought a home in 2018 in Decaturville, Camdenton, MO 65020. All I can say is that she is the best!!! She knew what we were looking for and came through. She took us to multiple locations around the lake . Knew our likes and dislikes. She is a very good listener. Karie went above and beyond in helping us purchase our condo at Lake of the Ozarks. She was very knowledgeable about the entire process and guided us the through the appraisal, financing and closing process. On time and under budget. Bought a Townhouse home in 2018 in Sunrise Beach, MO. Karie did a great job finding home options based on our want and needs and always gave us honest feedback and opinions. She has an incredible sense of urgency and moves fast on anything you ask of her. I would highly recommend Karie for your home finding needs. Sold a home in 2013 for approximately $175K. Sold a home in 2013 in Lake Ozark, MO. Karie did a great job and was always available for any last minute questions we had. We have bought two condos and sold one using her and we are very pleased. Sold a home in 2013 in Damsel, Osage Beach, MO 65065. It was easy to give Karie 5 stars on all of the above. We worked with her on purchasing our first condo and second condo and selling this condo. Never had a complaint about her professional conduct or expertise. Would ask her help again without a doubt.